Hermy’s HVAC provides air conditioning service, repair and install in Rapid City SD and surrounding areas. It’s the dead of winter, and the temperature outside dips below zero. Is that old 1970s furnace going to keep your family warm all winter long? It’s the hottest night of the summer. With three fans going full blast, it’s still too hot to sleep. 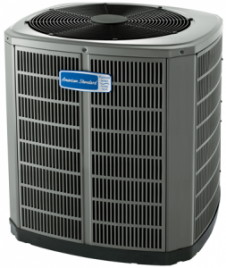 Is it time to invest in an American Standard air conditioning system? If you’ve ever asked yourself these questions, you’ve come to the right place. Hermy’s Air Conditioning sells American Standard products and services in the Rapid City SD area. With the American Standard® brand reliable, long-lasting product performance is our top priority. We achieve that goal through superior craftsmanship and world-class manufacturing processes, which help ensure that American Standard brand products are the best we can provide to you. To meet our high standards, our products go through our most rigorous quality assurance scrutiny.